Another quick sketch while on my way home from work. I wish I had designed the clouds a bit better. It was just one long cloud in reality but it would have been better if I had broken it up. I am satisfied otherwise, actually I quite like it! Click image below for larger picture. 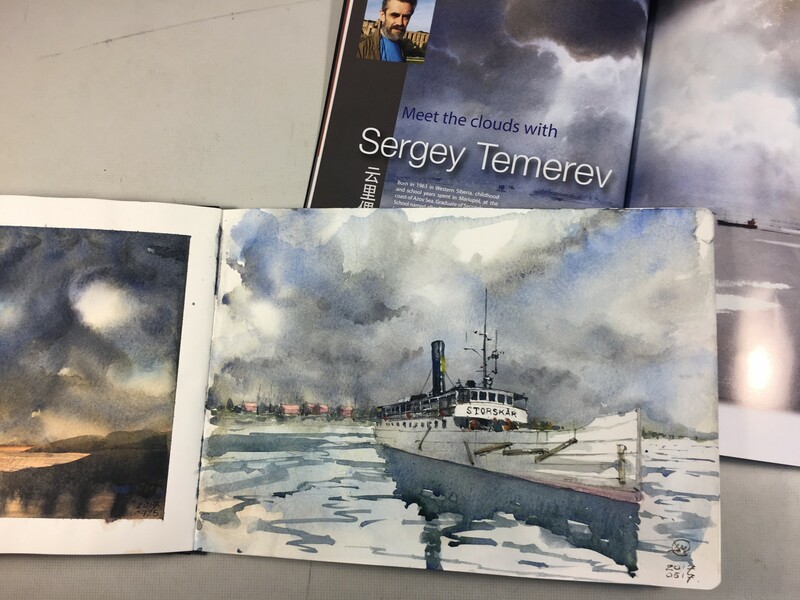 Today I studied Sergey Temerev’s cloud painting techniques on YouTube. I also did a sketch of a painting that I will start in the morning. Painting in a Moleskin sketchbook is difficult when you are used to good quality paper like Arches, but it’s a sketchbook which means I am not too concerned. 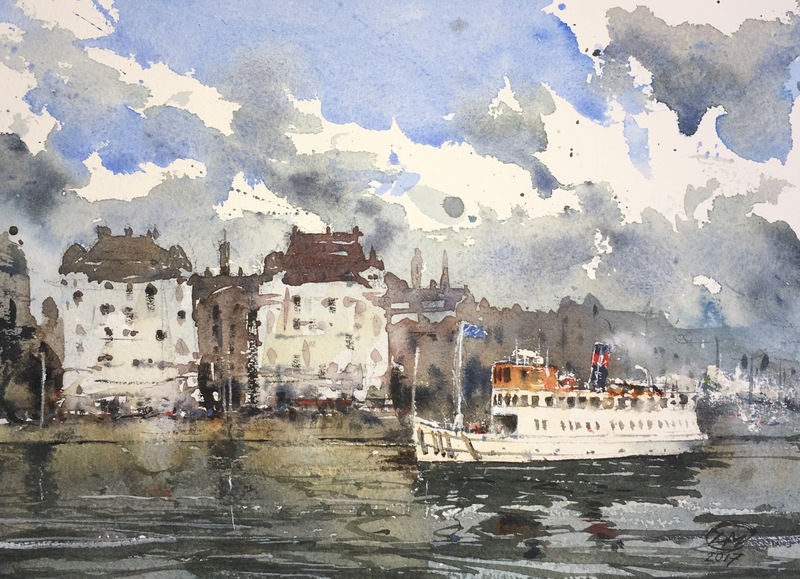 The most important thing is to play and experiment with composition and pigment. I’m not sure what people at work think of me when I paint during my lunch break. I hope my bosses don’t mind, I mean it is my lunchtime which is my time, right? No one has told me to stop, so I guess I shouldn’t worry about it. 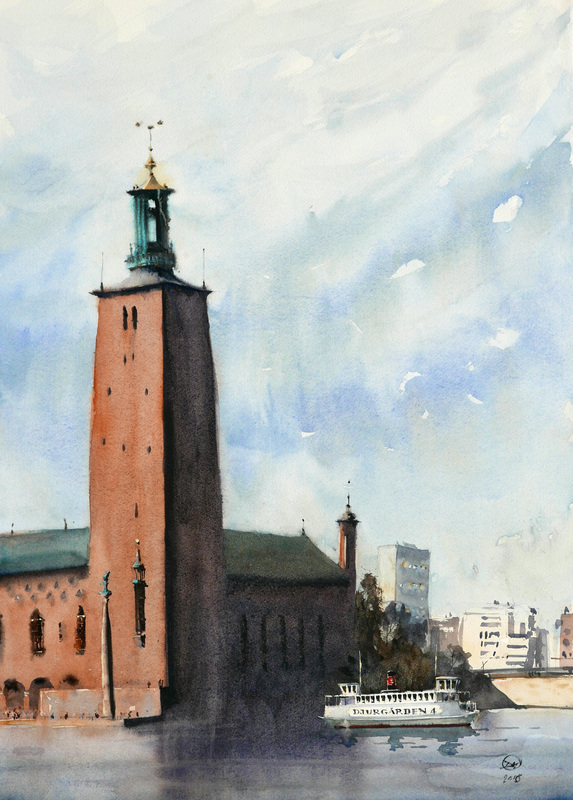 This watercolour which is a painting of Strandvägen in central Stockholm was painted during lunch and then finished in the evening. 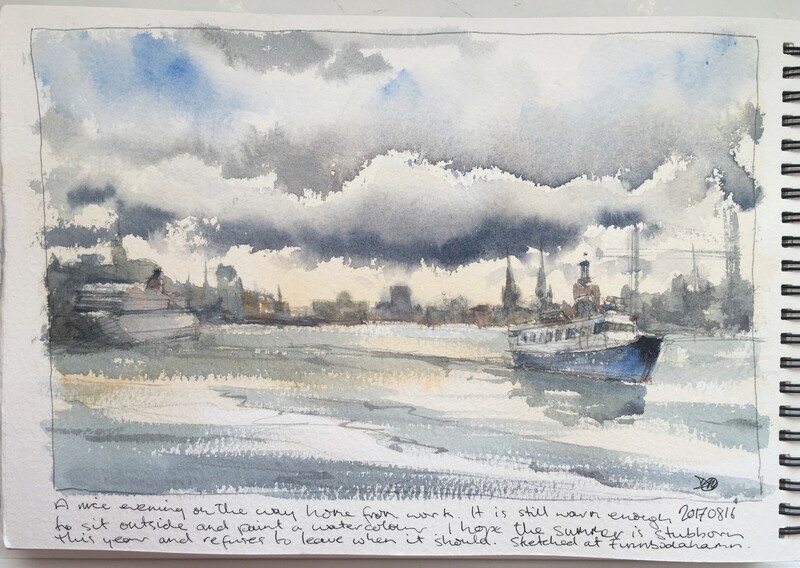 I am happy with it, the boat reflection is amaturish but everything else is loose and free, there is energy. Once again, when I work quickly the result is more successful than when I work slowly, I think painting with one’s instinct is key. < Click this image if you want to see the full size original.